Music can break every rule and still produce an emotional effect. 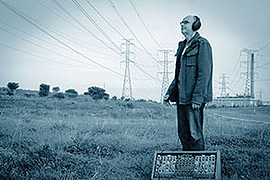 Steve Roberts records as Amongst Myselves and understands this fact and, in showing his depth, has since 2001 released several noted albums of mystical minimal soundscapes. 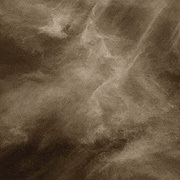 The Past is Another Country (59'16") is yet another in a line of innovative, slow burning Ambient works. To Roberts' credit he has come up with a new way to share stories - and his music may possibly reconstruct consciousness itself. Solitary and lost The Past is Another Country progresses in a dreamlike haze. Recordings of a natural wilderness environment mingle with synthesizer pads, guitar strumming and detailed electronic manipulations as Roberts expands the far-flung reaches of his music once again. The seven tracks begin in a strangely dark zone where crumbling tones and fluttering metallics outfit a surreal soundspace with a desperate frigid imagery. Beyond this rupture in reality this album fills out with a fascinating array of timbres and atmospheres, states and airs. Representing different landscapes, signs and seasons each piece makes an exploration of a unique mood. As cold and slow gives way to warm and supple The Past is Another Country moves the listener through wonderfully earthen nightscenes both inviting and foreboding. An incoming tide of drones covers us with lulling harmonics while in the evening sky above constellations of comforting sounds drift and slowly swirl in the afterglow of creation. Should the music of Amongst Myselves be considered experimental? - Absolutely, but with an emphasis on the "mental".